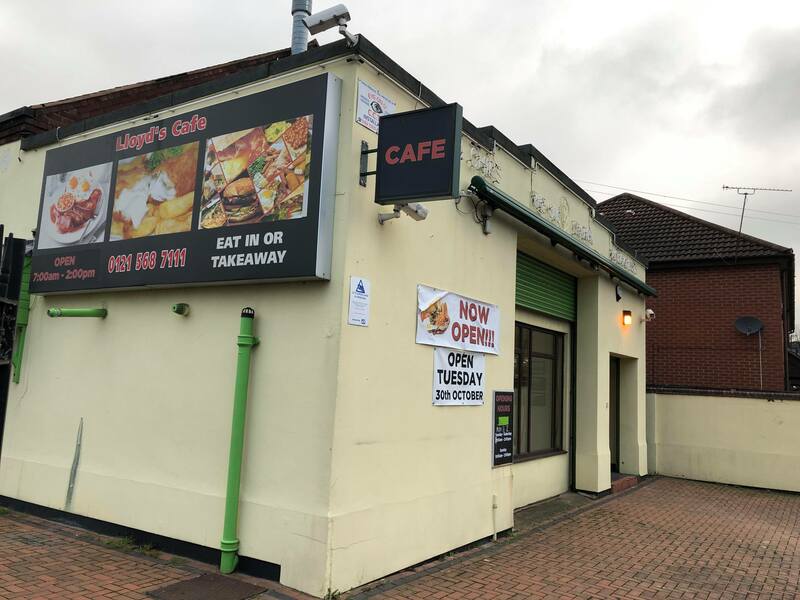 On my way to Decathlon at Wednesbury and stopped for breakfast at a cafe I’ve used in the past, but not for two years or so. It’s got new owners and has been refurbished since my last visit. Bright, light, and airy inside. From the counter area you can see clearly into the open kitchen and it looks well cared for. 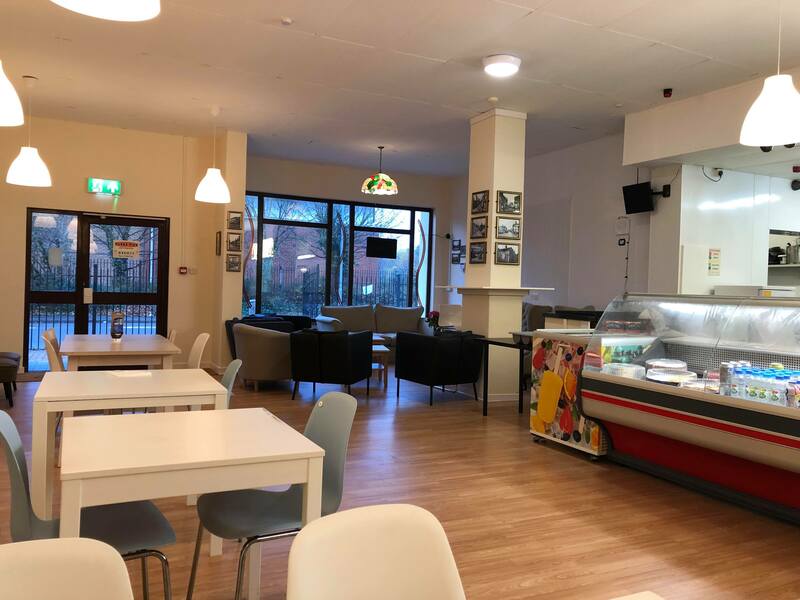 Plenty of tables – it’s a large place, with a comfortable seating area at the front with armchairs. 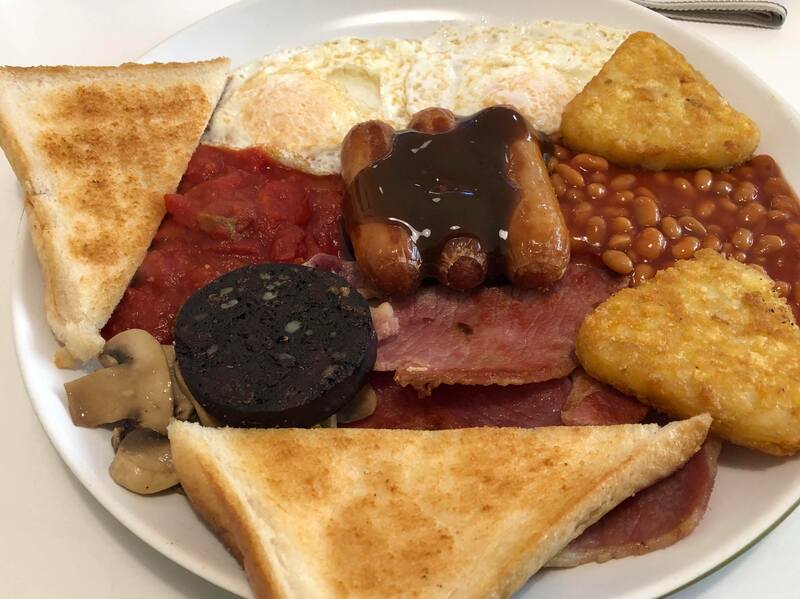 I went for the mega breakfast at £6.95 – but would downgrade to large if I went again as it was far too much and I left about a third. Two eggs – they’d been turned but the yolks were still nice and soft. Three sausages – bulk buy from the cash and carry I reckon, very average. Three rashers of back bacon – decent quality and well trimmed with not too much fat. 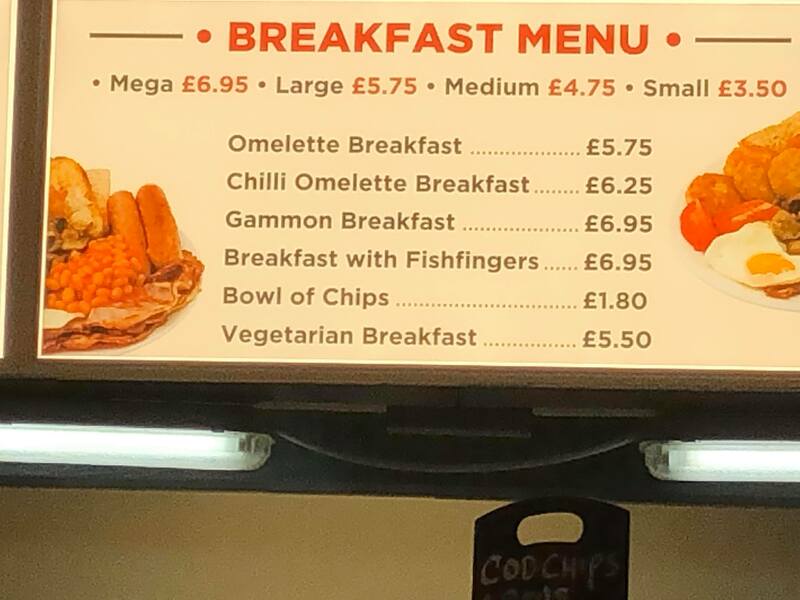 Two hash browns – ok but nothing exceptional. One piece of black pudding of average quality. Some sliced mushrooms – heated in water so a little insipid. Tinned tomatoes. Beans – nice enough. Two pieces of fried bread – lightly fried and not swimming in oil as it often is. Two rounds of toast on the side – average sliced white bread. Would I recommend it? Yes: for a cheap feast!